Roll No 71, Cdt NJ Nair, 1967 Batch and 38th NDA 'I' Squadron was commissioned into 16 Maratha Light Infantry. In 1993, 16 Maratha Light Infantry was deployed in Nagaland. On 20 Dec' 93 while heading an advance party of the battalion the convoy was ambushed by Naga rebels. Col NJ Nair displayed indomitable courage in leading the attack personally to break the ambush and sacrificed his life defending his men. For this supreme act of valour he was conferred the 'Ashok Chakra'. Roll No 2776, 1997 Batch, Capt Harshan R, School Cadet Captain, was commissioned into 2 Para (Special Forces) of the Indian Army in 2002. He was a member of the elite 'Red Devil' Unit. Displaying indomitable courage, he laid down his life fighting Harkat-ul-Mujahideen militants in the border district of Kupwara, J & K on 20 March 2007. 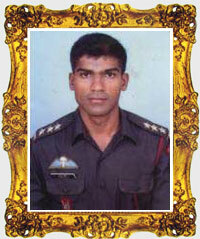 He displayed exemplary valour in the face of heavy odds and killed two militants before succumbing to his injuries. Prior to this on March 7, Capt Harshan had led a commando operation that resulted in the elimination of some of the top level leaders of the Harkat-ul-Mujahideen in the valley. For his supreme act of valour the nation conferred the 'Ashoka Chakra' on this valiant alumni. Roll No 112, 1967 Batch, Cdt RM NARESH, House Captain Shivaji, 39th NDA, 49th IMA Regular Course, sacrificed his life for the nation in the highest martial traditions of the Indian Army. 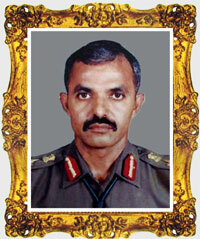 He attained martyrdom during the Indo-Pak war 1971 during operations in the Chammb Sector. 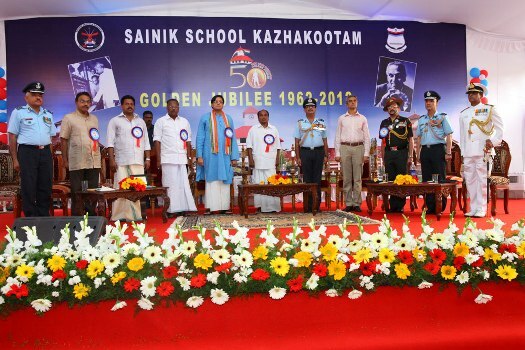 He was the first amongst the alumni of Sainik School, Kazhakootam to lay down his life for the country. The OBA has instituted a rolling trophy in his memory for the Best House Captain of the year. 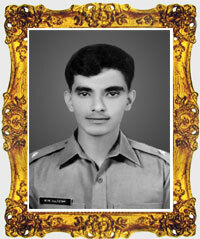 As part of the sub unit of 9th Battalion, the Jat Regiment tasked to prevent Pakistani Army from crossing the Manawar Tawi in the Chamb Sector during OP CACTUS LILY on 10 Dec 1971, 2/Lt Radha Mohan Naresh led his sub unit from front and beat back three determined assaults on his position. While doing so, 2/Lt Naresh refused to withdraw despite being surrounded from all sides, fought gallantly and ruthlessly till his last breath and last round. He made the supreme sacrifice for his country on the banks of the river with the battle cry “Jai Hanuman Jai Bhagwan” on his lips. 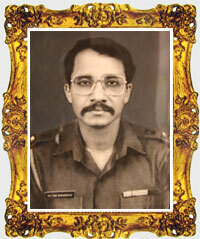 Roll No 447, Cdt G S Sateesh Chandran, 1973 Batch, laid down his life fighting militants in Nagaland on 12/06/1992. For his tremendous display of valour and courage during the action he was posthumously awarded the Sena Medal by the President on 26/01/1993.